Despite an official statement from Freedom Mobile to the contrary, Canadian iPhone 8 users are now finding that their phones are compatible with the carrier’s Band 66 LTE network. Over the weekend, several Freedom Mobile subscribers took to Reddit to report that they’ve been able to get unlocked iPhone 8 models to work with the carrier’s LTE network. Multiple other Freedom subscribers in other parts of the country where the carrier’s LTE network is available, including Alberta, have since also taken to the Freedom Mobile subreddit to report their iPhone 8 is similarly able to stay on the carrier’s LTE network. One Reddit user, felipelordes, shared a video of his iPhone 8 successfully moving back to LTE after making a call. MobileSyrup has also independently verified that the device is capable of returning to LTE after dropping to 3G. This in contrast to other unlocked smartphones, which would only reacquire a LTE signal after making a call when the user switched their phone to and from airplane mode. Were Freedom Mobile to support VoLTE, the iPhone 8 would not drop to 3G when taking calls. Based on research by the r/freedommobile community, it appears iPhone 8s with Intel modems — reportedly the A1905 or A1897, the only models for sale in Canada — are compatible with Freedom’s LTE network. 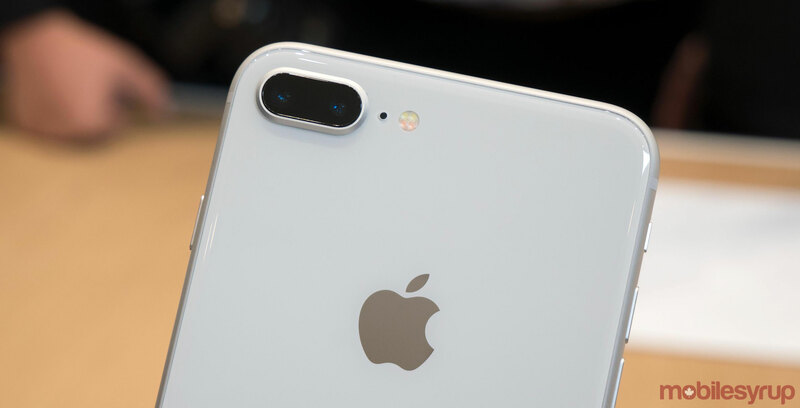 Apple sells iPhones with Qualcomm modems, as well, but it seems most if not all are being distributed in the U.S., where some American carriers use legacy CDMA networks to provide wireless service to subscribers. It’s also possible the compatibility came with a Freedom Mobile carrier update, which was pushed to MobileSyrup‘s device at some point between September 15th and 22nd. We’ve reached out to the carrier and will update this story if and when we receive comment.